The original downtown in the city of Chester, Virginia was a small stop on the Richmond and Petersburg Railroad. The train station oversaw a battle during the American Civil War, and the city as it is known today is a bedroom community situated along State Route 10 in Chesterfield County. A full service transit system is provided by GRTC, and RideFinders helps to provide rideshare services and commuter assistance to the city’s residents. The closest international and domestic airport is Richmond International Airport in Richmond, VA, just 15 miles away, while other domestic aviation facilities near the city include Newport News/Williamsburg International Airport and Charlottesville Albemarle Airport. Chesterfield County is home to several large manufacturing, utilities, services, and trade employers, including United Parcel Service, Capital One, Amazon.com, and Food Lion, Inc. The largest company in the region is E.I. duPont de Nemours & Co., a plastic films and synthetic fibers manufacturing facility that employs nearly 2,500 people. CJW Medical Center and St. Francis Medical Center are two well-known healthcare companies that operate in the area, and Honeywell International, Inc. is also located in the region. The city is home to a variety of dining options that range from home-cooked Southern cuisine to local sports bars and grills. If you’re new to the area, you will want to be sure to try a gastro-pub called The Bucket Trade. Chen’s Chinese Restaurant is another great option, if you’re craving something less traditional. And if you’re seeking exciting nightlife, Brass Monkeys Bar is a new American sports bar that is fully equipped with several large televisions to catch the game. If you’re visiting the area for the first time, consider experiencing what it was like when the original English settlers moved to the area by exploring Henricus Historical Park, the region in which Pocahontas grew up. Another historical location visited by many living in Chester, VA is the Battery Dantzler Civil War Site, which was constructed in May 1864 to stop Union naval units from traveling up the James River. The Chesterfield Children’s Theatre is also a popular destination, and The Playroom is an indoor amusement center for families that provides inflatable play structures and imagination stations for creative play. 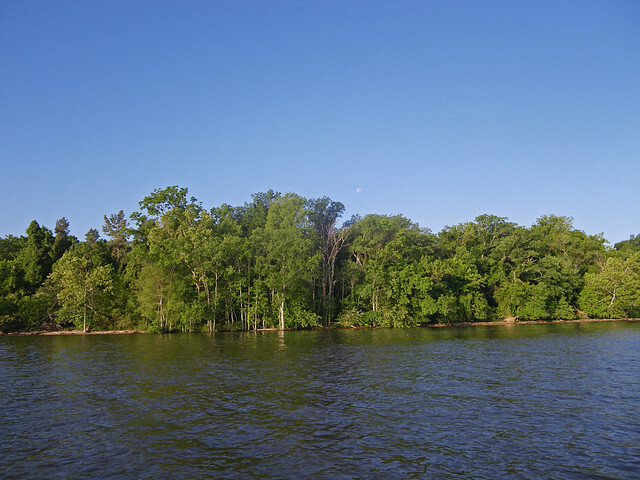 The area features many nature parks and preserves, including Harrowgate Park, the James River National Wildlife Refuge, Iron Bridge Park, Bensley Park and Community Center, and Pocahontas State Park. Chester Linear Park was formerly a railroad right-of-way which has since been converted for trail use. If you’re searching for a fun place to take the kids, Goyne Park offers fields for baseball, soccer, and football as well as an 18-hole disc golf course. While smaller than Richmond, there are still plenty of things to do in Chester, VA. From historic battlefields to a vibrant dining scene, locals and visitors alike enjoy all the city has to offer. Whether you’re in town for business or you are considering moving to Chester, take a walk through downtown, visit a local park, or indulge your taste buds in a home-cooked meal in one of the city’s charming restaurants.